Estimated Read Time: 10 minutes. Drinking Water and Watershed Protection Service. The people of this region see affordable housing and water protection as two of the most critical issues facing our region. The CVRD Board listened and directed staff to create these two services as part of a plan for addressing these issues now and into the future. The two proposed services will provide opportunities for better planning and decision-making across the entire region. 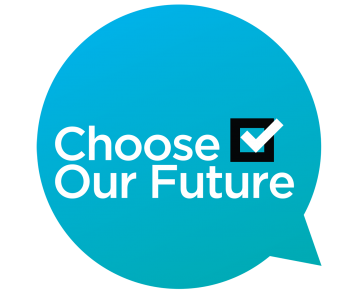 We are asking residents to learn about what is being proposed and to help choose our future on October 20. We know that water is fundamentally linked to our quality of life – not only to our human health but the environment we live in, our climate, our safety, our food, our livelihood, and the growth of our communities. How can we, as a region, prepare for our future to ensure that we have access to clean, safe, and secure water supply? Our region faces many challenges with our water resources – particularly as our climate changes. The proposed Drinking Water and Watershed Protection Service will provide an integrated, on-the-ground approach to water management to address issues in our region now and in the future. The CVRD is committed to providing a safe, reliable, and secure water supply for our region’s people and the environment. With 17 watersheds in our region, the CVRD has unique water-related challenges to consider. Risks in one watershed can cross electoral areas and municipal boundaries to impact multiple communities, as our watersheds don’t follow jurisdictional boundaries. In addition, climate change, aging infrastructure, development pressures, and community growth are all impacting our watersheds. The current, fragmented approach to watershed protection is not working. Our region requires a forward-thinking, unified approach to address watershed and groundwater issues. The proposed Drinking Water and Watershed Protection Service would help manage our watersheds through better planning to mitigate risks to our water quality and water supply. It would inform land use planning, growth patterns, and development standards as well as regional infrastructure and water utility needs. The service would develop strategies to protect drinking water and watershed environmental functions, prioritize infrastructure improvements, and provide better response to issues facing our region, such as flood protection or water supply plans. The service would be a collaborative approach, based on partnerships with all levels of governments, stakeholders, and communities, supporting water and watershed management in a more coordinated and cost-effective manner. The proposed service would mean that each municipality or improvement district would continue to plan through their own functions, but through a common strategy, there would be improved sharing of information, more training, less duplication of effort, and increased opportunity to address cross-boundary issues. A more coordinated approach means more long-term savings to taxpayers and an improved quality of life for our region. The proposed role of the CVRD is to provide those functions that partners cannot alone efficiently deliver. Serving a region of almost 84,000 people, the CVRD is in a better position to support member municipalities and improvement districts with leadership and coordination. A common strategy will ensure we our communities grow sustainably within watershed carrying capacities. The details of each benefit of the service will be expanded upon in upcoming blog posts. Watch this space to learn more about the proposed Drinking Water and Watershed Protection Service and what it means for the CVRD. Escalating housing prices make affordability a concern for Canadians across the income spectrum. But for people with lower incomes, it is an issue of basic quality of life and health. Over the past decade or more, the increasing cost of housing has outpaced increases in income in the region, making housing increasingly unaffordable for a growing segment of our population. The average cost of a home in the region has increased by 18% from 2016. The issue has reached crisis levels. In the 2016 CVRD Community Satisfaction Survey, 92% of Cowichan residents expressed support for the CVRD to take action on this issue. After studying the issue, the proposed action to address this problem is the establishment of the Cowichan Housing Association Annual Financial Contribution Service. How Would the Service Work? The proposed service would provide annual seed funding to the Cowichan Housing Association to use to secure funding from the provincial and federal governments to build affordable housing. The Cowichan Housing Association would also work with proposed housing projects to provide assistance with project assessments, justification of their applications for funding, develop partnerships for success, and prevent further housing loss. The Cowichan Housing Association is best suited and well positioned to lead and deliver the affordable housing service in a cost effective and accountable manner on behalf of the community. The proposed annual budget for the service is $765,000. The cost for residential property owners would be $3.87/$100,000 of assessed value of the home. For example, a home assessed at $500,000 in value would pay $19.35 per year to contribute to this service. To access the funds, the CVRD and the Cowichan Housing Association would enter into an operating agreement. Each year, the Cowichan Housing Association would submit a budget to the CVRD Board for approval, to ensure that the proposed spending is in alignment with the goals of the proposed service. Each year, the Cowichan Housing Association would also submit a report showing how the funds were used, and what has been achieved with the money. Reduce the number of households spending more than 30% of their income on housing.